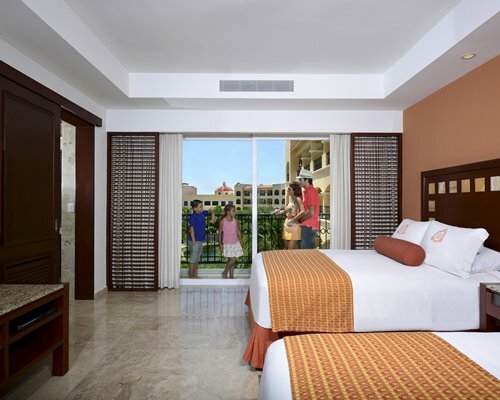 Beachfront family resort, All inclusive, endless luxury concept, located inside an eco-park at the Mayan Riviera. Offers the perfect balance between nature and comfort. A variety of water sports and eco-activities for all. 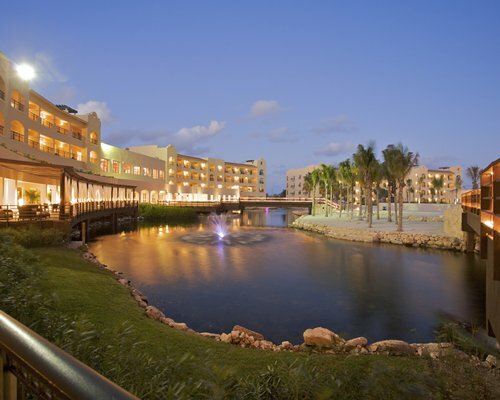 The resort provide 4 a la carte restaurants (business casual dress code for Indoor restaurants required. ), 1 buffet, 3 bars, 24hr room service, after dinner shows,live music, gym, full SPA, private yacht club and day camps for teens & kids, unlimited gourmet meals, snacks & premium drinks, daily & nightly entertainment, gym, non-motorized water sports, scuba demo, and airport pick-up.